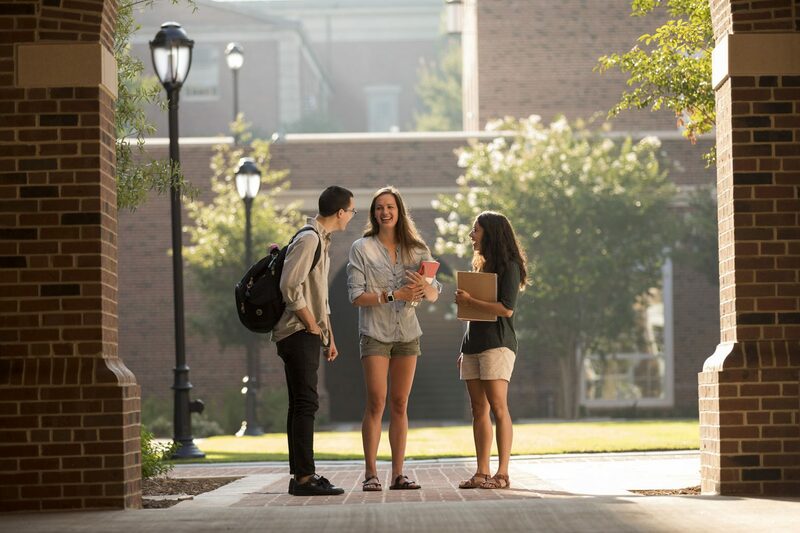 This article originally appeared on terry.uga.edu. 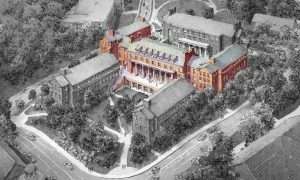 Phase II, highlighted above, is composed of Amos, Benson and Moore-Rooker Halls. 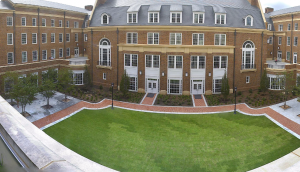 A panoramic view the courtyard, with Phase II’s Amos Hall overlooking. 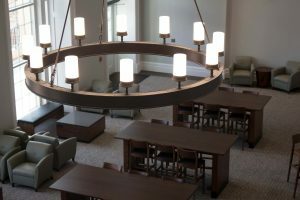 Phase II buildings feature two large auditoriums, eight classrooms, a capital markets lab, a music business lab, a café and an undergraduate commons with a south‑facing veranda.